Third generation of cows placed in the top three in the All-Britain awards. 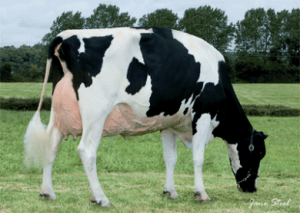 She calved in November 2018 with her seventh calf, looking better than ever, having produced more than 86 tonnes lifetime so far. 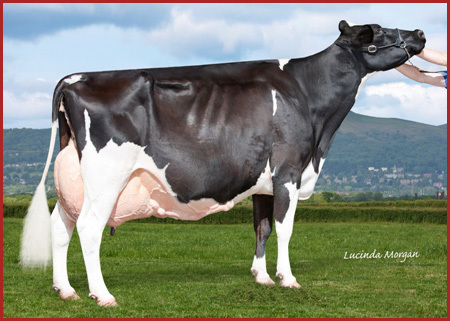 Her daughter, Richaven Sanchez Squaw EX93 won the four year old class at UK Dairy Expo 2015. 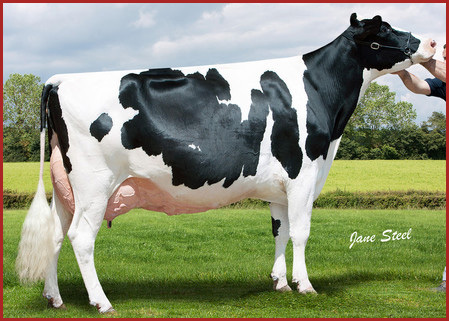 She calved her 10th in March 2018 and looks amazing and is scored the maximum classification of EX97. She is a daughter of Severnvales Chief Squaw EX93-3E. 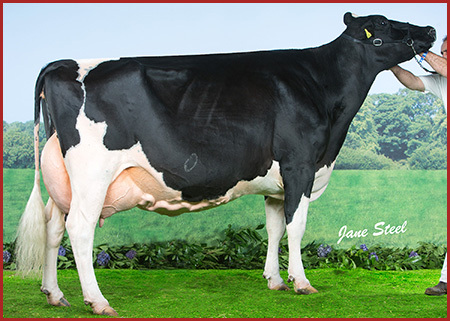 Over the last four years Raider Squaw has been the highest earning cow at Richaven in total progeny and embryo sales. She is fresh with her fourth calf and looks amazing. She will be flushed later in 2018, having given more than 50t in three lactations. She also has an Ex94 scored daughter by Million. She is just fresh in her seventh lactation having given 85 tonnes of milk in her lifetime so far. She has bred four daughters sold in to four different herds. Currently milking at Richaven is her Ex92 daughter Richaven Armstead Squaw who has just finished her fourth lactation. 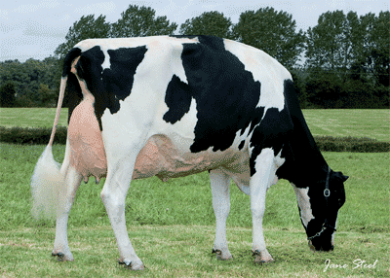 She has bred to Ex94 classified daughters, including one in the Carkin herd. 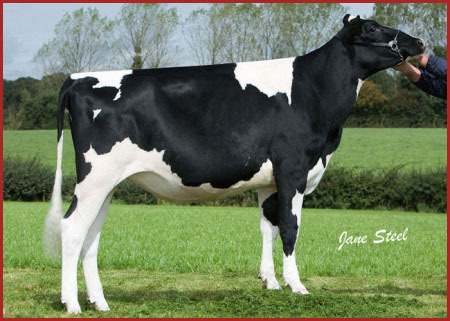 Her Goldwyn son, Richaven Majestic classified Ex94 and sold to the Crossriggs herd. He has bred 33 very good classified cows. 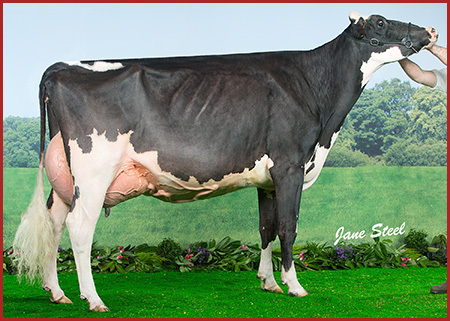 She has a fourth lactation Armstead daughter scored Ex90 during her fourth lactation. 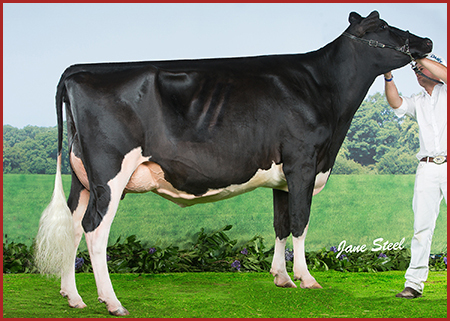 She bred an EX93 classified Leader daughter and three excellent Richaven Rambo daughters, then a VG88 scored Calypso. She was the original purchase and bred seven excellent and five very good daughters.